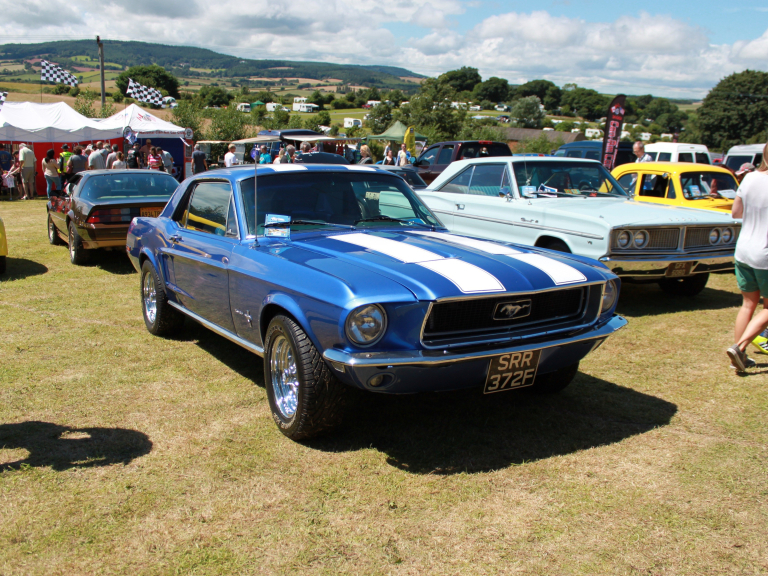 The South West’s largest gathering of hot-rods, muscle cars and American classics – including Cadillacs, Chevrolets, Jeeps and trucks – returns to Cofton Holidays near Starcross just outside Exeter from 30 June to 02 July for a weekend of music and entertainment, food, fun and competition. Now in its fourth year, this annual celebration of V8s and cool Americana is set to kick off on the evening of Friday 30 June with the Carl Morris Trio,an authentic three-part rockabilly group. On Saturday, a cavalcade of over 100 classic American and Canadian cars will leave Cofton at midday cruising through Dawlish and Teignmouth before stopping off at Dawlish Warren for a pit stop at The Green. Later that night, Elvis takes to the stage in the form of the internationally acclaimed artist Adam Carter, followed by fireworks at 10pm. In addition to great food and local beer in the main marquee, show goers can look forward to bouncy castles, street magicians, stilt walkers, trade stands selling Americana and much more besides. The star attractions at this year’s show are set to include a World War 2 Willys Jeep, a 1963 Pontiac Catalina Custom, a 2016 Dodge Hellcat Muscle Car, a Chevrolet Camaro Bumblebee, as seen in the blockbuster film Transformers, a 1968 Buick Le Sabre, as seen in the hit series Breaking Bad, and a 1975 Pontiac Trans Am Bracket Racer plus a host of other amazing vehicles. Over 200 show cars are expected to compete for a series of prizes including the People’s Choice trophy, a huge cup imported all the way from the US. Commenting on the show event organiser Keith Bloomfield, chairman of the National Can-Am Car Club, said: “This year’s show, which coincides with the club’s 50th anniversary, is set to be bigger and better than ever with a host of surprises as well as old favourites. Tickets to the Sunday Show cost just £5 for adults and £2.50 for children and can be bought on the gate. Anyone arriving in an American vehicle will be given free entry for up to two people. Touring pitches for the weekend are available from £19.50 per night and come with free entry to the show. Holiday caravans are available from £537 from the Friday to Monday. Show goers will have access to Cofton’s main facilities including the heated indoor and outdoor pool, restaurant and pub. Visitors will also have access to miles of cycle paths and nature trails that take visitors through woodland, parkland and mature meadows to Dawlish Warren beach and nature reserve. For more information on Cofton Holidays including camping and caravan pitches, holiday homes, apartments and cottages visit:www.coftonholidays.co.uk or call 01626 890111.